During my formative years, advertising art and text was an exciting piece of the larger world delivered to my small-town life. Old Coca-Cola ads, new album covers, even a bumper sticker for Champion spark plugs—I cherished the lines, colors, images, and words. I grew up loving advertising images. I always sang the Sweet'N Low jingle as I poured a packet into my tea (yes, out loud--"Wherever you go..."). I bought what they were selling hook, line, and sinker. We, particularly Americans, so readily consume everything put on the metaphorical plate before us. Our portion sizes are large, and our appetite for scent is programmed early and often. We are repeatedly pitched to cover up odor. In the wild, detecting odor is a survival tool. It causes fight or flight. As much of a problem as multiple-chemical sensitivities (MCS) create in my daily life, I do think they alert me to health dangers. I might not have to worry about a predator eating me, but these invisible threats to human wellness create a web of illnesses pushing our bodies into a broken state. The obvious results from a toxic run-in are allergies and asthma, disorientation, killer headaches, nausea, but toxic VOCs short circuit the brain and also create nervous system fatigue. Autistic-like reactions—that’s another. It’s fight or flight. So I remove myself from situations as soon as I realize warning signs. And hope at best I’ll only have a bad day, but frequently these run-ins require more time for recovery. The other day I saw a sea lion on the sand appearing disoriented, head bobbing up and down, then it lowered it's head and stopped moving. The suspect: domoic acid poisoning during red tide. This biotoxin, a neurotoxin, affects the brain and disrupts nerve transmission sometimes causing seizures, brain lesions, or death. Can you imagine being a sea lion who is unable to hunt or navigate? There is an unnerving parallel in MCS symptoms from man-made toxins and affects of this red tide neurotoxin. I wonder what kind of permanent damage fragrances and other toxins are doing to not only our lungs, but brains. Part of my wellness plan includes staying away from other allergens because they are wellness depleters. As in they take away wellness or good health. Dogs have become a primary allergen despite eight years of allergy shots. 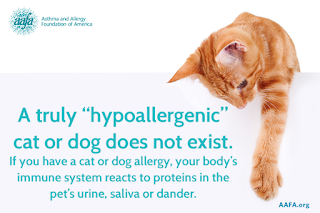 And there’s no such thing as an allergy-free dog—that’s just marketing spin. If a dog or cat has saliva, skin, or urine, then the animal is a source of allergenic proteins and leaves a trail of them wherever it goes just like the Charlie Brown character Pig-Pen’s cloud. Wherever dogs go, I don’t. Loading up on drugs to deal with allergens weakens my health foundation—I try to take as few things as possible, but still do. It’s important to think of our body and mind as an ecosystem; we are not just an MCS label. Getting hung up on one obstacle like MCS puts blinders on so we overlook other health invaders. That’s why keeping my home and car as safe zones are my number one priority. If I can control where I live, that’s even better. LA was just too polluted for daily life. I tracked pollution drift and tried out Florida’s west coast but as much as I loved it, ended up returning to California yet avoid city life. I do what I call an allergy clean to any home I live in. An empty house is easiest to deal with and I start from the top down. Close windows and turn off any fans and the HVAC system so allergens and dust aren't being blow around. Put a new allergy-rated filter into the HVAC system before turning unit back on and vent filters can be applied temporarily to catch allergens that blow out (see product directions)--duct cleaning is also an option. Another option is to run the system with the new filter installed before and after cleaning. Wearing a mask, gloves, glasses, and clothing covering arms and legs, I vacuum or Swiffer ceilings, walls, then floors. My goal is to get dust and allergens to drop to the floor. The next step: I use a microfiber mop to wet clean ceilings, walls, then floors--rinsing the mop head often. (All windows and surfaces are wet cleaned with microfibers.) Running an air purifier can be helpful after the wet-mopped areas are dry. Both my parents were military, so I guess I’ve learned this kind of discipline from my mom. She used to wash the walls seasonally, but they were smokers back when I was a kid. Remember that yellow nicotine coating on everything? I don’t actually consider the home “allergy safe” after one cleaning pass, it’s more of the first layer of defense because allergens still circulate in the air resticking to surfaces. (Allergens are not visible and can remain active for six months to a year.) Each item brought into the home is individually cleaned using wet microfibers; water with a little Allersearch Laundry soap and Borax. Non-washables get vacuumed. Currently, I have a central vac, so I don’t have to worry about the vacuum spewing allergens back into the room. I wouldn’t use a vacuum indoors unless it has an HEPA filter. We find changing out of outdoor clothes into indoor clothes helps reduce allergen and sensitivity triggers indoors. Shoes off at the door, of course. If it’s pollen season or I’ve had exposure to fragrance, other toxins, or allergens—it’s right into the shower including washing my hair. Long hair does get to be a lot of work because hair is like a Swiffer we wear. Just think of everything clinging to your hair. I don’t use hair styling products because they act like a sticky layer perfect for allergens and fragrance to adhere to. When my allergy and asthma doctor said avoidance was my primary tool for dealing with my chemical sensitivities, and to keep my home as free of irritants as possible, well, that’s what I’ve been working on for two decades. It’s been a lot to learn. 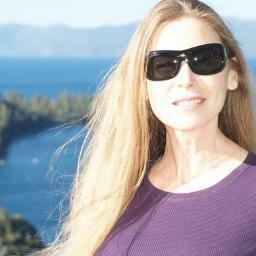 So much time researching and being my own test subject, so I have become a wellness expert from the inside out. Let’s spread awareness—reduce personal pollution, and keep “Pig-Pen” in the cartoon strips. Discover's "Brain Damage in Sea Lions Linked to Toxic 'Red Tides'"
ScienceMag's "Sea Lions Exposed to Toxic Algae Fail Memory Tests"